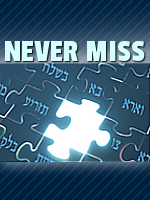 3) Sh'lach 26 - Taking Off Your Talis - Must You Make A New Bracha? 5) Pinchas 26 - Tei'ku What Will Eliyahu Answer? 6) Shoftim 26 - Getting Underserved Kavod - How Honest Must You Be? 11) Vayakheil/Pikudei 26 - Does the Husband's Early Kabolas Shabbos Affect His Wife? 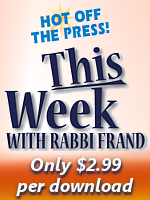 12) Vayikra 26 - A Rabbi's Dilemma- Reveal A Confidence and Get Sued or Remain Silent? 14) Sh'mini 26 - Can You Change Your Minhag of When To Keep Sefira? 16) Emor 26 - Must We Be M'Chabaid Leviim As Well As Kohanim? 18) Behar/Bechukosai 26 - Davening in a Rented Movie Theater? A Converted Church? Is There A Problem? 19) Bamidbar 26 - The Zohar Vs Talmud Bavli: Whom Do We Pasken Like? 20) Beha'aloscha 26- Meat and Fish - Must You Have a Separate Fish Pot? 21) Chukas 26 - Saying Kaddish For More Than One Person; Lo'aig Le'rash For Women? 22) Balak 26 - Must You Read K'rias Shema Yourself? 27) Noach 26 - Are Non-Jews Only Obligated in "The Seven Mitzvos"? 29) Vayeira 26 - I Have a Toothache/Headache/Cold - Do I Still Have To Daven? 31) Toldos 26 - Who's Better For A Sh'liach Tzibur - A FFB Or A BT? 32) Vayeitzei 26 - Can the Younger Brother Marry Before His Older Sister? 33) Vayishlach 26 - Twins: Must The Younger One Be Me'chabaid The Older One? 36) Vayigash 26 - "Oops! I Forgot today's a Fast Day after I made a Bracha on the food. What should I do?" 37) Vayechi 26 - Supporting Someone To Sit and Learn: Must He Be Altruistic(Le'shmah)? 39) Va'eyra 26 - A Polling Place/AA Meeting In A Church - Is There A Problem? 40) Bo 26 - Tefilin For The First Time - She'hech'che'yanu? 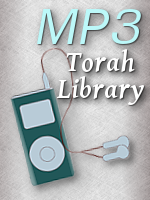 41) B'shalach 26 - Kol Isha- Listening to a Female Vocalist on the Radio? 42) Yisro 26 - Kiddush Shabbos Day: On What? What Do You Say? 43) Mishpatim 26 - Taking State Farm To Beis Din?